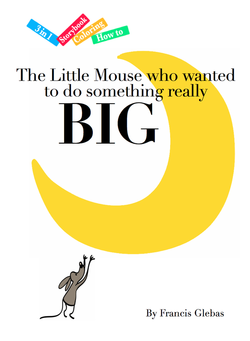 The Little Mouse who wanted to do something really Big is a heartwarming story about following your dreams. The little mouse wants to do something really big but doesn't really know how. His journey teaches him some things about what it truly means to do something really big. As a BONUS, this is a 3 in 1 Ride the Dragon book. It includes a story picture book, a coloring book and a how to on write your own story. It's 3 times the fun. This story was written using Iggy's Incredibly Easy Way to Write a Story.